Ugandan women should be spared the agony of burying their children. With this burden gone, more women will live fuller lives, get more educated, work outside home, and play full roles in society! As the world celebrates the International Women’s day, it is imperative that we reflect on the realities surrounding a woman in Uganda. The NRM government will forever enjoy the plaudits for having started empowerment and emancipation of women in Uganda. In the last three decades under NRM, women in this country have on average seen their lives improve. There are more women working outside home; driving; heading public institutions and running private businesses. There is however one big blot on this quite rosy situation. OMG! Ugandan women carry too much! Thousands, endless recurring of morbidity for mothers and high poverty are partners that often visit the same families in Uganda. Mr. President, lately you have been emphasizing wealth creation as if it is an end in itself. In the process you, and thus your government, have neglected the most critical attribute of humanity — good health, especially for women and children. Health is the starting point for anyone who dreams about wealth. You need a life to have a good life. Poor health can severely limit the capacity to enjoy an otherwise good life. Health is not a matter of being alive, and living a long time, but of living in good health. The world is getting healthier than at any time in the past. People live longer, they are taller and stronger, and their children are less likely to be sick or to die. In Africa, however, and particularly in Uganda the progress in good health is very slow and at times stagnant. What is even more scary is the fact that our people seem ignorant what better health could be. The Gallup world poll regularly asks people in Uganda what issues their government should focus on. Health concerns are not high on the list. Usually, reducing poverty and providing jobs are high on people’s want list. This is not surprising. It is easier to see that there are many people who are richer than you, but much harder to see that they have better health or that their children are less likely to die. Your governments, Mr. President, prefer investing in “observables” such as wealth, roads, dams, buildings and consumer goods to investing in health. You don’t even want to pay nurses and doctors. 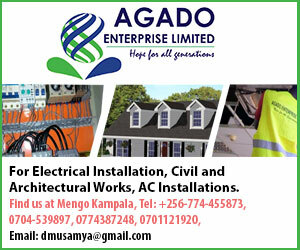 Research has found that absenteeism is one of the biggest scandals of health care in Uganda. But in most cases health workers, just like their colleagues in teaching, have cited poor and irregular payment for their misconduct. So it is as if there were an implicit contract between them and your government; the government pretends to pay them, and they pretend to work. The health situation in Uganda is not alarming but neither is it good or even satisfactory. Demographers and health researchers use several indicators to measure good health. 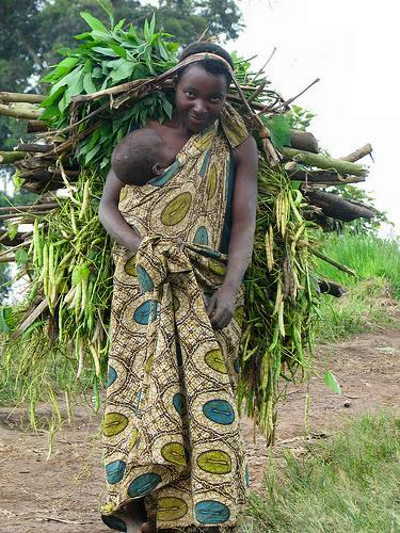 I will pick out height to illustrate the burdens a Ugandan woman is still facing in an era of “Great Escape” worldwide from death and deprivation, as Angus Deaton puts it in his new book. Although height, in and of itself, is not a measure of wellbeing, scientists contend that ceteris paribus, when a population is short, it indicates that its members were nutritionally deprived in childhood or in adolescence, either because they didn’t get enough to eat or because they lived in an unhealthy environment where disease, even if it didn’t kill them, left them permanently stunted. Therefore, height is an indicator of the burden of under nutrition and disease during childhood. Scientists believe tall people are healthier. Those who do not get enough to eat as children, in terms of nutrition, or who live through childhood diseases, often don’t grow as tall as their genes would have allowed under ideal conditions. Although height depends on genes for each individual, so that taller parents have taller children, science has proven that this is not true for large populations. Variations in average height among populations are due to variations in the degree of deprivation. Short societies have grown taller without changes in their genetics, for example the Chinese now play basketball. This is due to improvements in nutrition and health care standards. Deprivation in childhood can have serious and long-lasting consequences. Research has found that shorter people earn less than taller ones; not only in agricultural societies like ours where strength and physique are useful, but also among professionals in industrialized countries. Even cognitive function develops along with the rest of the body. So, scientists contend that shorter people are on average not as smart as taller ones, no matter how much this statement may elicit outrage. The reality is that there is no systematic difference in cognitive function according to height, but some people deprived in childhood will be over represented among the short, which is why short people on average have poor cognitive function. Insufficient calories or too many childhood diseases may be the cause of low cognitive function among short people. Although people in Africa, and for that matter in Uganda, are taller than Asians and Latinos, women are getting shorter. The most likely reason that Ugandan women are getting shorter than their mothers is falling real incomes and thus nutrition. And a fall in the height of women poses a generational danger to the heights of their children. This is simply because tiny mothers can hardly have large children. So once height is reversed like the case is in Uganda, it can take generations for the population to grow taller. Why? Mothers have to grow before the children, grandmothers before the mothers, and so on. So what needs to be done to enable Ugandan women achieve meaningful empowerment? There is need to massively invest in health and education in order to guarantee high levels of human development. Most importantly and urgently, Uganda must strive to cross the epidemiological transition — moving from the times where our people are meeting their death out of infectious diseases (especially among children) to the times where most deaths are of old people who die not from infectious diseases but from chronic diseases, such as cardiovascular disease or heart disease, stroke, and cancer. The starting point should be a reduction of infant and child mortality. We must strive to force diseases move out of the bowels and chests of infants into the arteries of the elderly. Women will be the foremost beneficiaries of this transition. When infant mortality falls, mothers benefit a lot. They don’t have to be pregnant as often to have the same number of children who survive. They are also spared the agony of burying their children. With this burden gone, more women will live fuller lives, get more educated, work outside home, and play full roles in society. Female education is also critical mainly because the rate of return on women’s education is higher than that on men’s. Women are key determinant of household health and nutrition. Educated mothers feed their children on quality food as opposed to quantity. In many homes in Uganda, mothers out of ignorance and poverty feed their children on carbohydrates instead of proteins and vitamins. Secondly, increasing women’s education not only increases their productivity but also results in greater labour force participation, later marriage, and lower fertility. Educated mothers will also not hide their children from immunizers; they can administer medicine as prescribed by physicians; and most importantly they give birth to fewer children because they lack time to rear so many children. Thirdly, improved child health and nutrition and more educated mothers will lead to multiplier effects on the quality of Uganda’s human resources for many generations to come. And lastly, because women carry a disproportionate burden of the poverty and landlessness that permeates developing societies, such as ours, any significant improvements in their role and status via education can have important impact on breaking the vicious circle of poverty and inadequate schooling.